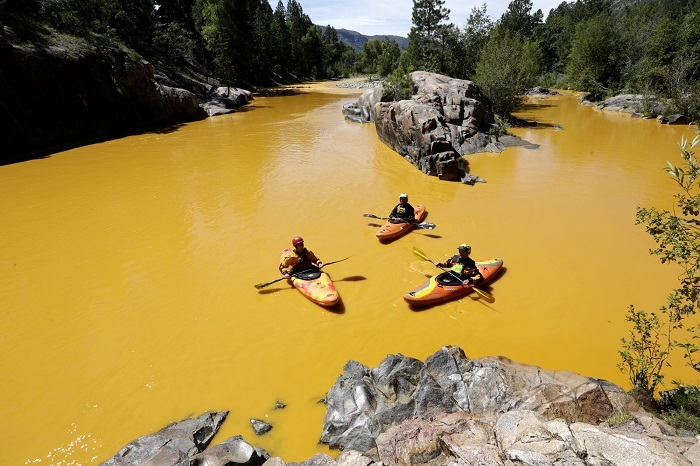 The Environmental Protection Agency intentionally caused a spill of toxic waste at a Colorado mine that threatened water supplies for tens of thousands of people, the chairman of the Natural Resources Committee in the US House of Representatives is alleging. Bishop was referring to EPA cleanup efforts at the abandoned Gold King mine near Silverton in southwestern Colorado in August 2015. Contractors working for the agency breached a dam that was holding back toxic waste, pouring three million gallons of toxic waste out of a holding pond and into the nearby Animas River. The waste contained levels of lead, arsenic, cadmium and other toxic metals that were upwards of 12,000 times those considered safe for human consumption, as Off The Grid News previously reported. The river turned orange.